I love reading in public. Not because I like to look intelligent, but instead I enjoy engaging an author’s work in community with others. I cannot tell you how many amazing conversations have sprung up just because someone recognized a popular or catchy book title. 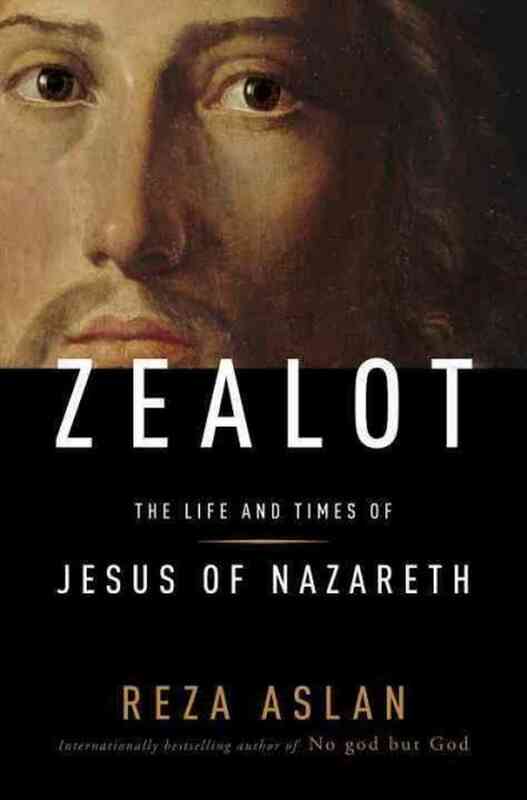 So many people asked what I thought of Reza Aslan’s book, Zealot: The life and times of Jesus of Nazareth, that I thought I would take a swing at one of these book review things. I must say that I had no knowledge of the work before I witnessed the embarrassing FOX News interview with Aslan. I was so insulted on the author’s behalf that I was motivated to put my money down and see what he had to say. Aslan’s book is an imaginative rehashing of years of research on the historical Jesus. He treats the subject with the respect and care of one who understands the weight of his endeavor and the implications of his speculations. Aslan draws a line between the Jesus of faith and the Jesus of history, separating the two and inviting us on a journey of how the latter sprang from the former. Throughout his book he neither demeans nor insults Jesus’ faithful but rather shows a sense of admiration for the developing religion. From the beginning, Aslan is up front about the pitfalls looking for the historical Jesus. Admittedly, scholars agree on very little concerning Jesus’ actual life outside of the biblical texts. Apart from his birth in Nazareth and his death at the hands of Rome, the author freely admits that most is speculation gleaned from cultural context and a precious few extra-biblical sources. Because of this, Aslan freely cites scholars and historians who would disagree with his interpretations and speculations. This openness belies a willingness to engage in conversation about the person of Jesus. I hope that the Christian community engages his book in the same way. While Aslan’s retelling is far from Orthodox Christianity’s belief about Jesus, he does provide us with one thing of immense value: context. Aslan’s brilliant retelling of what we know as the “intertestimental period” and the history of the early church is nothing short of masterful. He captures the attitudes of rebellion, of zealotry, of the disenfranchised poor and the sick and needy and paints a picture of extreme discontent and social unrest. Aslan’s historical Jesus comes from a culture marked by frequent assassination attempts and executions, power struggles and nepotism, systematic racism and favoritism and a blatant disregard for the poor. If modern Christians can take nothing else from this book, they can find great value in Aslan’s placing Jesus in the correct cultural context. The book is worth the read for this reason alone. As hinted at before, Aslan’s research is not new. It is not even original. Perhaps he is original in his rehashing of the historical data, but the information has not changed since the German scholars Schweitzer and Bultmann did their own searches for the historical Jesus. Aslan recognizes this, and even quotes Bultmann’s admonition about such searches, saying that they frequently find a Jesus that resembles the one searching. Aside from this and a couple of basic errors in biblical interpretation, such as mistaking the 6th hour of the Jewish day for 3 in the afternoon, Zealot leaves a lot of problems for those who believe in the Jesus of faith. While nothing in Zealot would conclusively disprove widely held beliefs about the Jesus of the New Testament, the book does raise some questions about aspects of Jesus’ life and ministry. The birth narratives, Jesus’ earthly discipleship under John the Baptist, Jesus’ possible relationship with a woman, and the virgin birth are all questioned historically. …the one thing any comprehensive study of the historical Jesus should hopefully reveal is that Jesus of Nazareth—Jesus the man—is every bit as compelling, charismatic, and praiseworthy as Jesus Christ. He is, in short, someone worth believing in. I challenge Christians to pick this book up. If for no other reason, do it because of its popularity. How can we talk to a world about Jesus if we are not listening to what they are already saying about Him? What better place to start than the respect and honor given to Jesus at the end of Aslan’s book? Buy the book and take it to your local coffee shop and give it a read. Who knows? You might even be interrupted by amazing discussions.